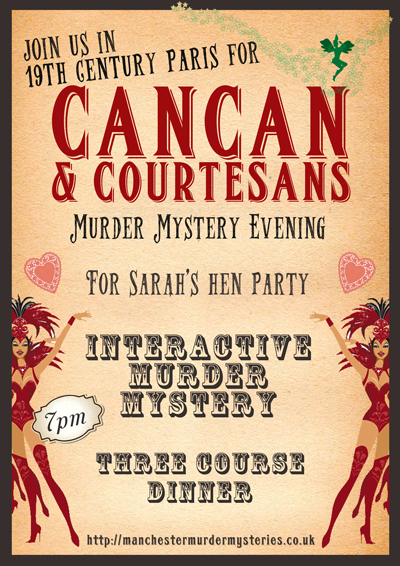 Whether you’re in town for a hen party, big birthday or a team night out, our fresh and modern murder mysteries will have you laughing for weeks to come. With specially selected venues in York, vivacious hosts and dedicated event management, you can rely on us to design for you a party to remember. With ten years of experience in writing and hosting murder mystery parties, we are experts in creating unique, fun and unforgettable events. Our exclusive scripts and storylines will take you and your guests through a great and terrible tale in which you are the stars of the show. Enjoy playing a suspect, witness or detective as our attentive and entertaining hosts guide you through the plot. Identify the criminal among you, shout who dunnit and win the prize! Behind the scenes our event management team will work tirelessly to ensure your celebration is perfect for you. 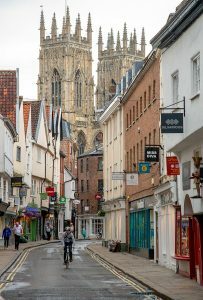 We only host parties in the venues we’d like to spend time in, so you can rely on our carefully chosen partner restaurants in York for the highest quality dining experience and customer service. Professional at all times with a quick response to customer needs, our party planners are waiting to arrange a murder mystery you’ll never forget as part of your next celebration. Sound good? Book you murder mystery York party today..
"Manchester Murder Mysteries were amazing from first contact right through to the night, I can't fault them. Thank you again for an amazing night." …our ‘Can Can and Courtesans‘ theme for your party! Set in 19th century Paris in the Belle Epoque, you’ll be transported to a world of cabaret, Can-Can and courtesans, as well as bohemian artists who like to flirt with the ‘Green Fairy’!